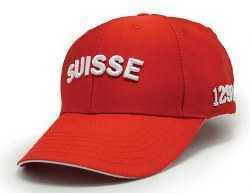 This category includes a variety of colorful and distinctive baseball caps with Swiss colors and/or the Swiss Cross and other Swiss imagery. 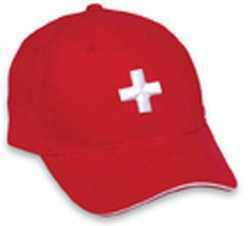 Red baseball cap has “Switzerland” embroidered on one side of the front Swiss Cross on the other. 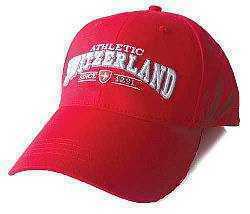 Adjustable, one size fits all. 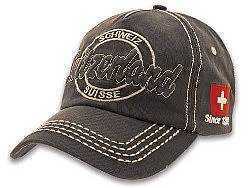 Genuine Swiss Baseball Caps - All time favorit! 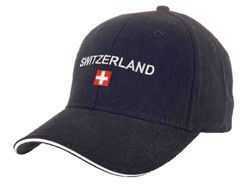 Black, cotton baseball cap has an embroidered Swiss flag and “Switzerland.” Adjust­able, one size fits all. 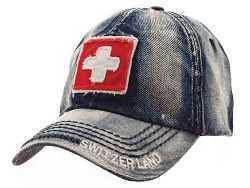 Stone-washed blue denim baseball cap with a Swiss Flag patch and “Switzerland” embroidered on the rim. Adjustable, one size fits all. 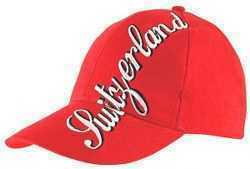 Olive green baseball cap has an embroidered Swiss shield and Switzerland in 3 languages Cotton, adjustable one size fits all. 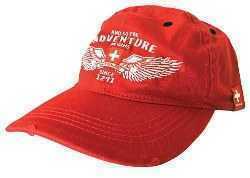 Red sun visor with an embroidered Swiss Cross. Adjustable, one size fits all. 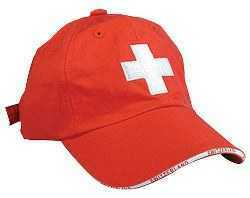 Kids red baseball cap with an embroidered Swiss Cross and Switzerland on the front of the bill. Adjustable, with a metal clasp in the back, for one size fits all. And so the Adventure begins! Embroidered Swiss shield, a set of wings, and Since 1291.